UPDATE - 1/31@3:39PM: TourBusLive was on hand at the event and snapped a boatload of great photos as seen in this Facebook gallery. UPDATE - 1/25@11:43AM: Unfortunately the event is now SOLD OUT. * Customers must purchase an Eventbrite ticket for this event to be in the signing line. When you arrive at Book Soup see a Book Soup employee with your ticket to check in and receive your copy of Geddy Lee's Big Book of Beautiful Bass. 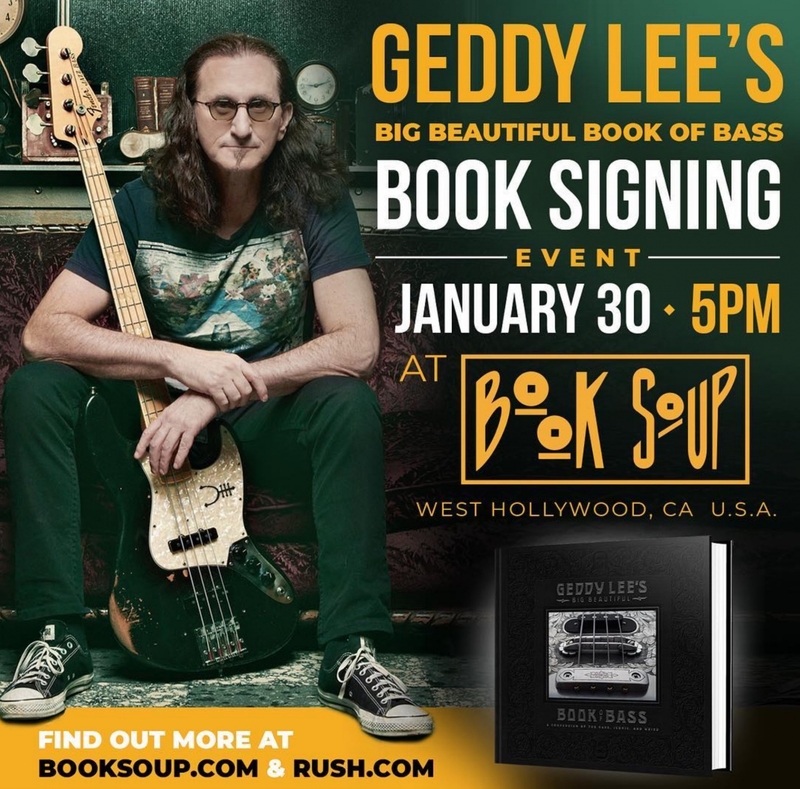 * All tickets include one (1) copy of Geddy Lee's Big Book of Beautiful Bass (Retail price $65.00). 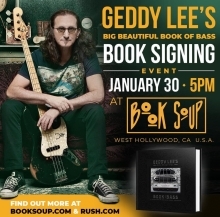 * Mr. Lee will sign & personalize copies of Geddy Lee's Big Book of Beautiful Bass, only. He will not be signing memorabilia.